Cook delicious dishes for your entire family using this Progress wok, made from forged aluminium for extra strength whilst also being incredibly lightweight. With a reliable non-stick coating on the interior of the wok, you can cook with total confidence and simply wipe away any leftovers with soapy water after use. Cleverly designed with a stainless steel flameguard and induction base, the wok also features a tempered glass lid with a steam vent so you can easily watch your food as it cooks. Perfect for making healthy and satisfying meals for your family and friends, just add this Progress wok to your cookware collection. 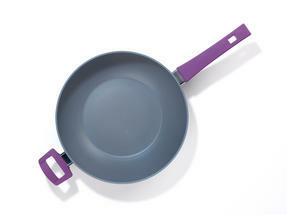 The wok has an efficient non-stick coating for minimal mess when you serve up your food, plus it will retain extra flavour as it cooks. 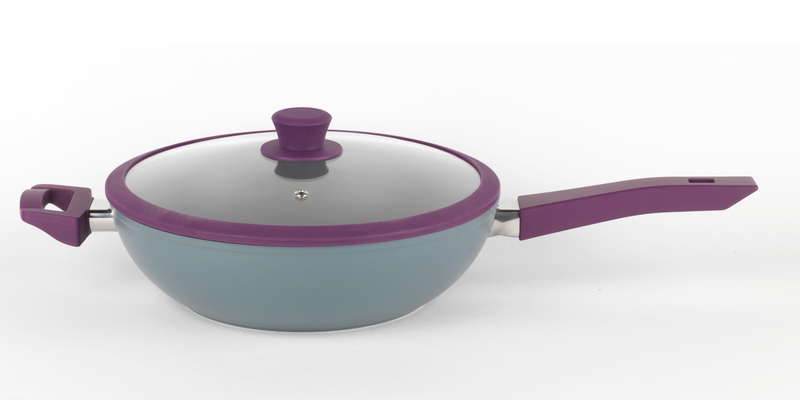 Made from brilliantly durable forged aluminium, the wok also has a clear tempered glass lid for less effort and added safety. Measuring at 28 x 28 x 8 cm, the wok is a very convenient size and has an induction base which is suitable to use on most hob types. Keeping the wok clean is incredibly easy – all it needs is a quick wipe with soapy water and it will maintain its brilliant quality.